For the second straight year, my Derby pick (and the likely morning line favorite) has been declared out of the race with an injury. While it is certainly a shame for Todd Pletcher that his monster colt Eskendereya will have to wait until later in the year to prove his brilliance, thereby denying his trainer of his best shot to break his career Derby shutout, this means better prices and a more wide open race for the bettor. His defection doesn’t really change the race from a setup perspective, it just opens the door for a horse to come out of nowhere and steal this thing just like last year. Value players just became a little less frightened. But then, Wednesday morning, my next pick, Endorsement, was injured in his workout and declared out of the race as well. So, with my exacta box unable to enter, I had to dig a little deeper and move some horses up the line further than I had anticipated, and I feel pretty good about the race now, but it certainly is a shame that these two talented colts won’t get the chance to run. Hopefully we see them later in the year. Mine That Bird is of the Mr. Prospector sire line, which has now produced winners of 9 of the last 15 Kentucky Derbys. Granted, there were 8 or 9 other colts in that field also from that line, but this statistic alone should put all horses from this line on the radar. Read: never throw these horses out. They deserve a second or third look and a good reason for complete dismissal. For the record, in this year’s race that includes only Lookin at Lucky, Dublin and Mission Impazible. Awesome Act has Mr. Prospector on the dam side as well, although that doesn’t appear statistically significant. Mine That Bird was bred to love the slop and the distance, and when the track came up a complete disaster last year, I should have adjusted my picks to reflect that. It was still quite a leap of faith to think that he could close with such authority, but looking at his immediate family which included both Birdstone and Grindstone, who posted two of the most shocking Triple Crown wins from off the pace in the last 20 years, in retrospect this wasn’t as much of a shocker as it seemed at the time. I retract my previous assertion and would instead argue that Giacomo’s win in 2005 was the more surprising of the two. So, as we look back on that historic victory by Mine That Bird, we can see that while some criteria and patterns (like Beyer Speed figures, for instance) can be beaten in the Derby, pedigree still goes a long way, and I’ll continue to pay close attention to this information in this year’s race. Below I have listed each of the horses running and have grouped them by their likely running style and placement in the race. I also provide pedigree information formatted (Sire/ Dam- Damsire) with a distance Tomlinson rating which is based on their bloodline, as well as the horse’s highest Beyer during their three year old season over 8 furlongs (8f). As these horses, many of which have never run 9f or have only done so once or twice, begin their quest to tackle the 10f distance and wear the roses, lots of questions arise. Mine That Bird negated the 100-Beyer criteria (he had actually never posted a Beyer over 90 in his career before that race), but it is important to note that he did post a 106 figure in winning. Improvement on that level is rare, so it is worth remembering that 23 of the last 26 Kentucky Derby winners had a career best Beyer of over 100 before the race, and that the average winning Beyer of the Derby over the last 15 years is just below 109–and that piece of criteria was not negated. This race is interesting from that perspective, as there is as little separation in the Beyer figures of the top contenders as I can ever recall, and there are actually only two horses in the race to have posted three digit figures (both 100, Devil May Care and Sidney’s Candy), which is an incredibly low amount from a historical standpoint. It’s almost enough to throw that measurement out all together this year. While the defections seem to have taken a toll on the overall quality of the horses in this race, I continue to believe that this is a tough, competitive crop of three-year olds, and I’m really excited for this race. We’ll start by looking at the pace horses, who figure to battle for the lead and rattle off fast fractions on the front end probably right on the :46.0 level. That’s a very hot pace compared to past Derbys, but I wouldn’t classify it as suicidal enough to bury the horses that can rate just behind it, who I analyze next. Horses that prefer to stalk are investigated next and figure to need the most racing luck from a traffic standpoint in such a large race, but also are ones to watch for late bursts of speed once the speed horses begin to fall aside as the distance begins to wear them down. Finally, I take a hard look at some closers, a style that has been successful in this race over the years. These horses will settle way back towards the back of the pack and wait for a chance to make one strong move at the top of the stretch. As a sidenote, umm….yeah, it is supposed to be very, very wet. Pros: Appears to be the one of the primary pace factors, and could be the speed of the speed, as his opening 1/2 mile fraction of :46.2 in the Arkansas Derby seems competitive with the fastest horses here, and he was able to hang on in the stretch to win that race over 9f. Expect him to make a pretty easy move towards the rail without much speed inside of him, and dictate the fractions from there. Cons: Like his sire, there are serious questions as to how he will handle the extra furlong. He looked good down the stretch in the Arkansas Derby, but the horses he held off were also part of the early pace and were tiring; none of the top three in that race came home in a time that is competitive with the best closers here, and it certainly appeared that Super Saver would have had him with a few more strides. Come home times of :12.8 (final 1/8) and :38.6 (3/8) don’t exactly pop off the page. His last workout at Churchill was a bit of a struggle, but that could have been due to the muddy track. Conclusion: I don’t generally take one-dimensional front running types to win this race as that extra furlong really makes a difference. If he can distance himself from the field without running scalding fractions I suppose he has a chance to hang on and get a piece, although he’s more likely to roast himself and any horse who unwisely chooses to chase him. I expect to see him in the top two or three for most of the race before giving way to the second flight of horses coming around the turn. Pros: Front-running type has won all three starts this year in like manner, and has at the same time been able to run impressively fast closing fractions (:35.8 final 3/8 and :12.6 final 1/8 in Santa Anita Derby), a potentially lethal combination for this race that demonstrates versatility. All his starts have been on the Pro-Ride surface out west, but his pedigree suggests he should take to the dirt and shouldn’t have any distance limitations. (His sire actually wired the Pacific Classic back in the dirt days in track record time at 10f). 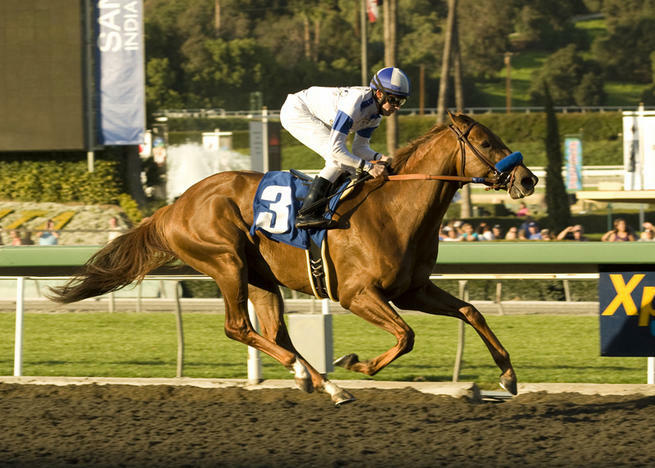 He is one of only three horses in the field to have posted a triple digit Beyer this year, and his 1:48.0 9f finish is the best in the field at that distance, synthetic or not. Cons: In his wins, he was able to maintain a comfortable lead without much pressure while setting fractions nowhere near what it will take to be on the lead in the Derby (:48.3 first 1/2 in the Santa Anita Derby). If he tries to go to lead from the far outside post, he’ll likely be pushed wide and running faster than he is accustomed to early to get there, and could be fried before the finish. If he instead hangs back off the hot pace, he might never feel comfortable or confident. Either way, he figures to be forced to run differently than he is accustomed to and could be out of his element. He’s also never raced on a dirt track before. Pros: He looked dominant early in the year, wiring the San Rafael and a pretty competitive Southwest Stakes at shorter distances. Baffert has said that he will let this colt loose in the Derby, and should vie for the early lead, possibly as a rabbit for stablemate Lookin at Lucky, unless no one goes with him, in which case he’ll try to wire the field. Surprisingly, his final 3/8 in his second place finish to Endorsement last time out came home in a respectable :37.1. Cons: His first try beyond 8.5 f resulted in his first loss of the season, as he was caught turning for home and never threatened after that. Considering he’ll be among the horses really battling and pressing for lead, it would seem we should expect more of the same. His sire ran into a similar problem as the favorite in the 1998 Derby; although he does have some stamina influences on the female side of his pedigree, it’s tough to see him winning this one wire to wire. Conclusion: I’m inclined to look more closely at Sidney’s Candy, and even Line of David, who have both shown the ability to hang on to leads over longer distances. And again, I don’t generally like to pick horses to win the Derby that have to be on the lead, and he is probably the least versatile of all of the pacesetters. In fact, in the rare years that a horse has wired the field to win this race, they’ve always had high top Beyers- the last three to do it are War Emblem (112), Charismatic (108) and Go For Gin (107). Even in a field with low figures, Conveyance doesn’t seem likely to buck this trend. Pros: Impressive wire to wire winner of the Illinois Derby on the dirt. His sire is among the all time great dirt horses at this distance, so the foundation is there from a pedigree standpoint. He’s looked impressive and confident at the track this week according to onlookers. Cons: For a horse that likes to be close to the lead, he sure didn’t set very impressive fractions in his Illinois Derby win. Finishing the final furlong in :13.0 and the final 3/8 in :38.0 with pressure coming isn’t good enough against most of these. He was also soundly beaten in the San Felipe by Sidney’s Candy, Interactif and Caracortado at a shorter distance. Conclusion: He’s a nice colt who stands to improve later in the year as most Tiznows seem to do, but he appears in over his head here at the moment. He doesn’t seem to have the versatility or the staying power to be a major factor without a drastic improvement. 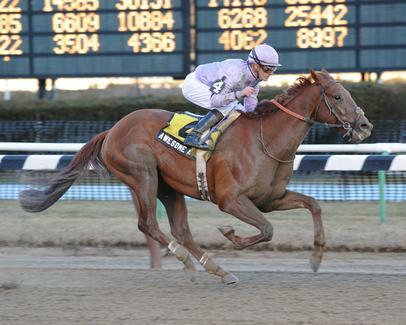 Pros: Wire to wire winner of the Risen Star back in February, but didn’t face too much there. Has the highest distance pedigree number of any of the pace horses. Cons: Finished fourth in a pretty weak Lousiana Derby field, unable to outkick the top three finishers after pressing the pace, so distance questions abound despite the above average pedigree. His career high Beyer is well below his challengers as well. Conclusion: His pedigree intrigues me a bit, but I don’t think he’s done anything to make me think he can get this distance. He’ll be facing some real speed, the likes of which he has never seen before, and if he couldn’t wire the weakest Louisiana Derby field in recent memory, I can’t explain how he’ll do it here. Pros: Proved that he can rate behind a very hot pace and still be there at the end in the Arkansas Derby. He looked to be steadying and ready to overtake the winner with a few extra strides, and at the very least that race served as a great tune up for him. Pedigree says that the distance shouldn’t be a problem as his sire already has a Derby winner in Monarchos, and his Tomlinson distance figure is tops in the field. He should have no trouble positioning just behind the first flight of horses with this post. With hometrack hero Calvin Borel aboard he can’t be overlooked, and he already has a win over the track around two turns, which is something no other horse here can lay claim to. It is also important to note that was conceding weight in his last two starts, finishing third in the Tampa Bay Derby and a game second at Oaklawn. Cons: It is somewhat disconcerting that he wasn’t able to overtake Line of David as he collapsed upon his own pace through the stretch in Arkansas Derby. Super Saver wobbled a bit and didn’t post very impressive fractions coming home (:38.0 final 3/8). If he couldn’t overtake that collapsing pace, one has to wonder how he will be able to do it in the Derby, where the best closers will be coming home closer to :36. That’s 10 lengths faster. Conclusion: The potential and pedigree are there, and part of me thinks that it is just short of insane to leave Borel’s mount off your tickets in this race, but again, this horse will be forwardly placed unlike Borel’s previous winners Street Sense and Mine That Bird, who came flying from last place through a gaping hole in the rail. He should be in top shape and it is possible that we haven’t seen his best yet, but I can’t get past the fact that he was unable to pass Line of David as that one disintegrated down the stretch of the Arkansas Derby. I like his chances the best of any horse coming from that race, and he could very well take a step up and pick off a few horses at the end. I don’t think he is a win candidate, but I’ll use him to fill out the bottom of exotics. Pros: Hard-trier has never finished worse than second in nine starts, all over the dirt. He takes a step up in in class here, but made strong showings while pressing the pace in his last two starts, both distant second place finishes to Eskendereya. Cons: Major distance questions with this guy, as his Tomlinson numbers are on the low side and he hasn’t looked like a horse that wants to keep running after his 9f races (:13.4 final 1/8 in his last won’t get the job done). Awesome Act would have had him with a few strides in the Wood Memorial, and that was after throwing a shoe and having a far from ideal trip. His speed figures this year have left something to be desired. Conclusion: He reminds me a bit of Musket Man’s courage and effort, but I think in the end the extra furlong will be too much for him, especially since he figures to be forced to rate behind fractions he won’t be prepared for. A nice colt, but there are classier runners here. Pros: Gray colt seems to be working well at Churchill and has improved over his last two starts. He ran impressively just off the pace to finish second in the Blue Grass and looked to have the race in hand turning for home, but was caught and easily bested by the hard closing Stately Victor. Nevertheless, his closing fractions of :12.7 over the final 1/8 and :37.1 over the final 3/8 put him in the mix, and it doesn’t appear that the distance will be a huge issue. Cons: Despite taking to the dirt well in his workouts, his success has been mostly on synthetic and turf, and he may be better suited to those surfaces. The Beyer figures posted in the Blue Grass were dismal across the board, synthetic or not, and horses that have run well in that race haven’t been factors in the Derby since the track switched from dirt. Conclusions: I don’t expect him to be quite so forwardly placed in the Derby as he was in the Blue Grass, so he stands to benefit from a stalking trip under the right circumstances. Still, I am going to play the synthetic specialist angle against him in a field of this size. I’m having trouble seeing what his niche will be in this race, as he’ll be forced into more of a stalking role and his last two solid races have been closer to the pace. Pros: Gelding had a strong juvenile season, winning once at 6f and once at 8f and hasn’t shown much this year but stands to improve. Cons: It appears that he ran better last year because the races were so much shorter, as he wasn’t a factor this year in his one race over a mile. Connections like trainer Rick Dutrow are easy to root against, and he is one of the only horses in the race yet to break a 90 Beyer. Conclusion: Looks outclassed and in over his head. I’m looking hard but I can’t find much to like besides his likely massive price. Nevertheless, I have to take a pass without any strong argument to the contrary. Pros: As game as they come, a true fighter who has encountered as much traffic trouble as could be imagined in his last three races and has hit the board in all of them. Closed hard after a rough ride to win the 8.5 f Rebel and had plenty left in the tank, finishing the last 3/8 in about :36.5. Versatile, professional and intelligent. Has Mr. Prospector in his sire line, and is a half brother to Curlin, suggesting that he should benefit from the added distance, and his stalking style could set him up perfectly for a collapse up front, especially with a rabbit as his stablemate (Conveyance). Having spent most of his career out west on the Pro-Ride, last year’s two year old champion looked his best on dirt winning the Rebel, and will likely benefit from the surface change. Cons: Despite hitting the board in every race of his career, he hasn’t posted any eye-popping speed figures. Certainly his troubled trips and frequency of running on synthetic surfaces provide some excuses/ explanations, but it is worthy of mention. He also has yet to win at 9f. Drawing the dreaded #1 post isn’t ideal for a horse that has had so much traffic trouble to date. Pros: Seems to always be there at the end; even though he hasn’t won a race yet this year, he’s hit the board in all three starts. 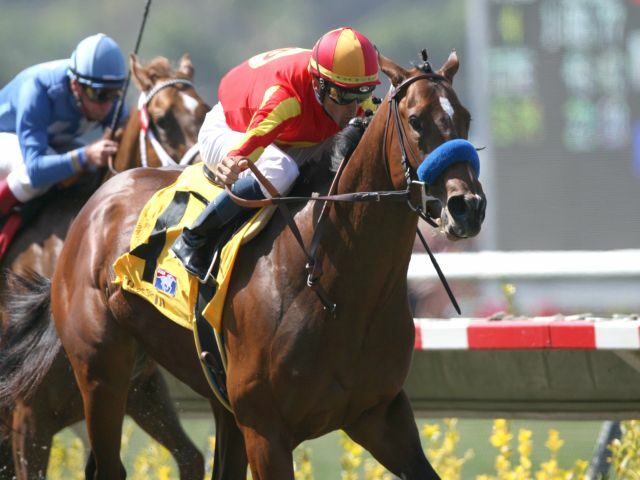 His pedigree suggests that he should handle the extra distance (Afleet Alex is from the Mr. Prospector line and won the Preakness and Belmont in 2005), although recent performances leave some questions about that. He worked a sharp 5f recently at Churchill downs in:59.1, the fastest of 44 runners, so it appears he is taking to the surface there. Also appears that his recent runs have served nicely as foundation to make a big run here. Cons: He seems to only have one constant gear, maintaining the same speed throughout the race and demonstrating an unwillingness or an inability to pass horses down the stretch. He also seems to have a tendency to hang coming home, and didn’t really have any excuses in his third place finishes in the Arkansas Derby or in the Rebel, it just appeared that he wasn’t able to get the job done against faster horses. Coming home in :38 down the final 3/8 simply won’t get it done here either. After posting a bullet work at Churchill, his subsequent effort looked confusing, uncomfortable and slow. Not that it really matters, but no horse has ever won the Derby from the #17 post. Conclusion: I want to like him for sentimental reasons but think he will be bet down based on his sire’s widespread popularity, and I fear that he is a bit of a grinder. I suppose that a constant pace might be enough to hit the board or complete the superfecta under the right circumstances, but without a complete pace meltdown a la Giacomo, it is difficult to see him as a threat to win the race. I’ll look elsewhere. Pros: Has demonstrated great tactical speed, especially in his second place finish on the dirt in the Rebel Stakes, caught at the wire by the hard-closing Lookin at Lucky but easily out-finishing Dublin. He had an extremely rough trip in his last outing, a non-challenging fifth place finish in the Arkansas Derby. Amazingly, his Tomlinson wet figure is the highest in the field, so he stands to move up from his previous efforts on a sloppy track. Cons: There are serious distance questions here both from a pedigree standpoint and from his form in his races this year. He was much the best in the Rebel for the first mile but couldn’t hold up for another half a furlong. Going 10f may be well beyond his range, and even with some traffic trouble in his last outing, he seemed pretty easily beaten by Line of David, Super Saver and Dublin going 9f for the first time. He’s also been battling a lung infection and there are questions about his overall strength compared to his Rebel form. Rough trip or not, no horse has won the Derby after finishing worse than fourth in their final prep since 1957. Conclusions: He seems to be very middling in this field; he doesn’t have the distance pedigree or stamina to make a run from off the pace, but doesn’t stand to benefit from sitting too close to the pace either. That puts him pretty close to mid-pack throughout the race and I have trouble seeing at which point he will improve his position, so I’m betting he finishes there. Pros: Demonstrated a game stalking style and wove his way between horses in deep stretch to win the Louisiana Derby. He seems to grind along quite a bit without much of a turn of foot, but he is a real competitor and could be a prime beneficiary of a complete and utter pace meltdown. He is also one of only three colts here with Mr. Prospector in his sire line, although he is the furthest removed from that influence. He finished his final 1/8 in about :12.4 and his last 3/8 in :37.8 in winning the Louisiana Derby, so that certainly puts him in the discussion. His physical appearance as he worked over the sloppy track was among the most impressive of the week, and he could benefit from an off-track. Cons: Was beaten easily in the much shorter Southwest by Conveyence and Dublin but didn’t really have any excuses there. There’s an argument to be made that the Louisiana Derby field he defeated wasn’t strong at all, and this line of thinking is confirmed by the 94 Beyer he earned in that win, which was over the dirt which doesn’t leave much room for interpretation in regards to the figure. Is he fast enough, or is he just a plodder? Conclusion: He sure is a fighter, and I really feel like there are better (faster) horses here. Still, he isn’t a bad bomber to use if you’re trying to hit it big with a superfecta ticket or even grind into the exacta in the slop. With the track conditions looking to worsen, he becomes more dangerous. He figures to settle midpack and stay there if you ask me, but like Dublin, if horses start falling off and tiring out, he will keep running and overtake quite a few, just probably not enough to hit the board. I’ll have him underneath just in case. Pros: Has been successful running on turf and synthetic surfaces, most notably winning the 8.5 f Lane’s End at Turfway in late March after stalking the pacesetter. His final 1/8 come home time of :12.6 is competitive here and deserves a look. His connections have had a lot of success at Churchill. Cons: Has only one start on the dirt, and finished fifth by 34 lengths. Also has a pretty low career high Beyer from his Lane’s End win, so class questions abound. Conclusion: Mostly, I just don’t have reason to believe that he is fast enough, and feel like he is probably better suited to surfaces other than dirt. Having said that, if I had to bet $2 to win on any of the 50-1 shots, he’s my guy. Pros: Closed with impressive fractions and essentially looked like he was shot out of a cannon on the polytrack surface in his Blue Grass win. The :11.9 final 1/8 and :35.2 final 3/8 he posted to win that one is the fastest of any horse in the field. His most recent race before that was a fifth place finish on the turf at Gulfstream, where he made up six lengths over the final 1/4 and was actually only two lengths off the leader at the wire and driving. He hasn’t had much success on the dirt to date, but given his strong dirt pedigree (Ghostzapper anyone??? ), this could be a horse that is rapidly improving and sitting on a big effort. With rain in the forecast, he could benefit massively from a sloppy track (sire Ghostzapper posted a 121 Beyer over a sloppy track, and grandsire Awesome Again won the Breeder’s Cup Classic over a sloppy track, to say nothing of the bottom of his pedigree.) Having Alan Garcia aboard is a plus, and the extra distance can only help; huge overlay at these odds. Cons: He was a virtual nobody before his surprising Blue Grass win as the longest shot in the field, and the concern is that he could be another in a series of synthetic specialists that win that race and then collapse in the Derby (think Monba, Dominican and General Quarters in the last three years). As impressive as his closing fractions appeared visually, the 94 Beyer he posted isn’t competitive here even in a year of generally weak figures, and tends to suggest that he wasn’t competing against a very strong group. Of course, there is much controversy regarding the validity of the Beyer numbers on varying surfaces, but it is what it is. He finished dismally on this track last November. Is he improving at the right time or simply a synthetic specialist? Pros: European runner has an impressive turn of foot and an ability to shift into an additional gear turning for home, a style that could be hugely beneficial in a race with so much speed at the front. His pedigree suggests an affinity for the added distance, with Classic winner Awesome Again on top and a Mr. Prospector dam on bottom. He had excuses in his distant third place finish in the Wood Memorial, as he threw a shoe early and was a bit rank after that, but still looked game to do more down the stretch. He made up about five lengths in the homestretch of last year’s Breeders’ Cup Juvenile Turf to finish fourth and figures to like the dirt even more. I love having Julien Leparoux on board here at Churchill. Cons: Has yet to win over 9f, and on paper his Wood Memorial run doesn’t look competitive in terms of his come home times or overall performance. Again, he had excuses, but seemed a bit rank and was being strangled by Leparoux. Could want to go too quickly which would hurt his chances. Pros: Showed what seemed like a strong closing kick in upsetting the Florida Derby field in a photo finish, overtaking the pacesetter Rule with a :12.50 final 1/8 and a sub-:37 final 3/8. The speed figure he earned in that race is actually the third highest in this field, although not a double digit figure. His pedigree has enough classic influences to suggest he’ll get the distance, and he is the only horse in the field with two dirt wins over 9f. Cons: Was badly beaten in the Fountain of Youth against stronger runners, and despite his visually impressive late-running victory after that, he didn’t beat much in the Florida Derby. He showed a burst of speed in early stretch, but hung a bit after that. He’ll need to sustain his drive to overtake the types of horses he is going to see here. The six week layoff is also a bit of a concern. Conclusion: You have to respect his chances if you’re expecting a complete pace disintegration up front. However, I still think that there are enough horses here that can rate and stalk the pace that a closing horse is going to need a serious turn of foot to put them away, and there are other closers here that I like just a bit more. I don’t consider him a threat for the win, but I’ll be sure to use him underneath. Pros: Amazingly, the lone filly in the race boasts the highest dirt Beyer in the field which she earned at 9f in a driving triumph in the Bonnie Miss. Her workout at Churchill downs, a 5f bullet in 1:00.1, was highly regarded as one of the week’s most impressive, and all signals are that she is coming into her own at the right time. She will likely enjoy the added distance here, as her Tomlinson rating is among the tops in the field. Cons: Despite the recent success of fillies in the Triple Crown, she hasn’t exactly shown the type of talent that Rachel Alexandra, Eight Belles or Rags to Riches had shown at this point in their career. She’ll be taking a big step up in class here, and some of her past performances (11th in the BC Juvenile Fillies last fall, 5th in the Silverbulletday at Fairgrounds) certainly raise questions as to whether she is ready to tackle 19 colts at this level of competition. Even in her hard closing victory, her come home times of :13.6 (1/8) and :38.0 (3/8) don’t match up with the others, and she benefited from a small field and a pretty easy trip in that win, which as a sidenote was six weeks ago. Interestingly, she won the Bonnie Miss on the same day Ice Box won the Florida Derby, but while her finish time was identical and Beyer a point higher (how? ), her final fractions were not as impressive as that one’s. Conclusion: She is a very intriguing entry by Pletcher after Eskendereya’s defection. Generally, you don’t enter a filly in this race unless she has a legit shot, which she surely does based on speed figures and pedigree alone. She’ll be in the mix late if the speed doesn’t hold, but I give the aforementioned closers a slight edge to hit the wire ahead of her. I also think she will be overbet as the lone filly in the field, so those horses will look more attractive from a value standpoint. Pros: The pedigree seems to pop off the page with some big names in the immediate family, but it doesn’t translate to an affinity for distance according to the Tomlinson figures, which somehow are the lowest in the field. Was successful on this track at 6f last fall. Cons: The lowest distance figures and lowest Beyer in the field, and he’s lost to several of these horses this year. Was no factor in a less than impressive Illinois Derby, finishing 14 lengths behind the winner American Lion. Come home times of :14.6 for the final 1/8 and :39.8 over the final 3/8 are dismal for a closer. Conclusion: His running style here won’t help him, as he hasn’t demonstrated the turn of foot that he will need to make a strong showing. After last year’s result, I’m hesitant to completely throw out any horse, but if I had to pick just one, he’d be it. Pass. Pros: Closed nicely to win an 8f turf race at Santa Anita, posting a 93 Beyer that I ignored here because of the surface and distance. Cons: Wasn’t a factor in a somewhat uninspired Blue Grass performance, and has never ran a race on dirt in his eight career starts. Conclusion: As the last horse to make the field, he’ll try to prove he belongs, but I’ll look elsewhere without much to support otherwise. 1. Petrolo Torrione Toscana 2006, 92 Points, $40- Rich, dark and alluring, with floral blackberry and chocolate aromas, dark for the varietal. Full-bodied mouthfeel with lots of cassis character above hints of dark chocolate, black olive and mineral. Long, substantial finish with layers of perfumey fruit; abounding with elegance, hints of subtle tobacco spice linger. 2. Le Corti Chianti Classico Don Tommaso 2005, 92 Points $40- Extremely elegant aromas of dark plum, blackberry and oak. Incredible mouthfeel with its seamless layers of sage and oregano above bursting dark plum, blackberry and black licorice. Hints of vanilla bean linger with understated mineral, cedar and smoke notes through the long finish. 3. Felsina Rancia Chianti Classico Toscana 2006, 91 Points, $40- Deep on the nose, with lots of leather shading black fruit notes. Soft and full on the palate with suave blackberry giving way to understated chocolate, cedary spice and leathery earth. Spice and fruit linger long. All in finesse, balanced and understated, yet very present. 4. Marchesi de’Frescobaldi Nipozzano Chanti Rufina Riserva Toscana 2006, 90 Points, $20- Juicy purple fruit aromas of blueberry, plum and violet above soft mineral and rich vanilla bean. Velvety mouthfeel with a balanced combination of juicy blackberry, black cherry and plum. Complex undertones of mocha, café vanilla and mineral, very clean and soft through the long finish. 5. San Giusto A Rentennano Chianti Classico Le Baroncole Riserva Toscana 2006, 89 Points, $40- Rich black cherry and red licorice aromas. Elegant and floral with a round, supple palate of red licorice, cherries and undertones of forest floor, mint and well-integrated mineral. Long finish with cedary spice lingering with bright, rich fruit character. 1. Collemattoni Brunello di Montalcino 2004, 92 Points, $60- Beautiful nose of creamy cherry, toasty black fruits and mocha. Soft on the palate with its impressive black cherry, cedar and toffee notes, with mineral creeping in late. Toffee and mineral linger long with lots of rich fruit flavor. 2. San Filippo Brunello di Montalcino 2004, 91 Points, $45- Elegant and lightly oaky aromas of cherry and dark plum. Deep on the palate, with complex toasty cherry and violety plum and blackberry notes that are laced with vanilla and cigar box spice. Elegant vanilla-cherry crème carries through the long, spicy and toasty finish. Intense. 3. Altesino Bruello di Montalcino 2004, 90 Points, $60- Earthy on the nose with its mushroom notes, which are shaded by bright red cherry. Soft on the palate, with creamy flavors of cherry and raspberry that give way to an underbelly of loamy earth and pepper spice that is pretty well-balanced. Gripping tannins through the medium to long finish will hopefully soften up. 4. Col di Lamo Brunello di Montalcino 2004, 89 Points, $65- Gamey, smokey nose with red cherry notes. Acidic throught the red fruit body, with black cherry and red licorice. Finishes with a bit of a medicinal note, minty and very tannic. 5. Gorelli Brunello di Montalcino Le Potazzine 2004, 88 Points, $60- Red cherry and leathery earth notes. Floral, creamy body of red cherry and berry fruit shaded by leather and hints of herbal spice. Bright acidity, medium to long finish is well-balanced. 1. Tenuta Dell’Ornellaia Superiore Toscana 2006, 95 Points, $180- Deep, concentrated, evolving aromas of blackberry, mineral, chocolate and leather. Perfectly soft texture with exploding black fruit and cassis above complex layers of cocoa, coffee, leather, mineral and tobacco and cedar spice through the long seamless finish. Incredibly light on the palate for the overall depth, impressive as always, just an explosion of flavor and the spice notes at the end really tie it all together. 2. Marchesi de’Frescobaldi Tenuta di Castiglioni Toscana 2007, 93 Points, $20- Layers of aroma, with toasty toffee, rich, raisiny fruit, black licorice, vanilla bean and tobacco spice. Suave, persistent, and elegantly textured, with a smoothness that carries its gorgeous blackberry, licorice, dark plum and wild berry, all laced with undertones of tobacco spice that linger long with the bursting fruit- a slight tannic grip remains its only flaw and should improve with time. 3. Marchesi de’Frescobaldi Mormoreto Toscana 2005, 91 Points, $55- Deep black currant aromas with notes of charred toast. Plump, creamy body with a mouthful of blackberry and dark plum above complex notes of chocolate, oak and tar. Shows impressive depth through the long finish, ending on a chalky, tannic note. 4. Brancaia Il Blu Toscana 2006, 91 Points, $70- Very rich and perfumey plum and black cherry fruit aromas with elements of toasty vanilla. Medium to full-bodied with juicy black cherry, plum and blackberry notes above oak and mocha spice. Long, elegant finish. 5. Tenuta San Guido Guidalberto Toscana 2007, 90 Points, $50- Rich aromas of dark plum, black licorice and hints of leathery earth and mocha. Soft and elegant with bursting blackberry, blueberry and licorice above notes of mocha and café vanilla, leading into elusive hints of mineral spice through the long finish. Love the texture and balance between elements. 1. Giacomo Conterno Barolo Piedmonte 2005, 94 Points, $120- Subtle, rustic, calming aromas of light cherry and hung game. Incredibly smooth and nuanced texture, with the red cherry, blueberry and licorice notes leading into a smorgasbord of tobacco, chalky mineral and white pepper spice. Tannins are still here in a big way, makes me want to cry otherwise, especially as light chocolate notes creep in through the long finish. 2. Vietti Brunate Barolo Piedmonte 2005, 94 Points, $120- Rich, elegant and floral with no astringency, with light notes of cherry, violet, caramel and rose on the nose. Bursting notes of red cherry, caramel and toffee initially with notes of smoke and mineral underneath. Delicate and gorgeous, loaded with complex elements that finish with a hint of tobacco spice through the long finish. 3. Paolo Scavino Carobric Barolo Piedmonte 2005, 93 Points, $70- Lots of black cherry seltzer on the nose here. Soft on the palate, with dark black cherry cola, blueberry and strong undertones of leather, smoke, orange and a complex combination of floral coriander spice. Very deep for Barolo, but finishes long with silky tannins. 4. Azelia Bricco Fiasco Barolo Piedmonte 2004, 93 Points, $75- Perfumey, minty aromas of black cherry and exotic spice. Soft, velvety body of deep cherry and violety plum fruit shaded by undertones of smoke, hung game, toffee/ mocha and cedar spice. Long, elegant and complex finish with elements of tar and leather creeping in late. 5. Fratelli Revello Barolo Piedmonte 2004, 90 Points, $40- Intense mineral nose, aromas of blackberry fruit, dark for the varietal. Soft and violety black fruit flavors that evolve into hints of chocolate and leather with a bit of graphite lingering. Chewy, with a firm tannic grip. Long finish, with earthy spices creeping in late.